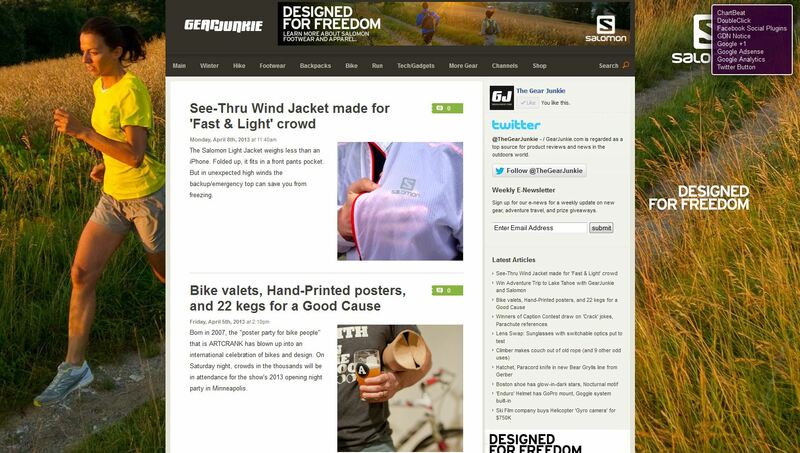 GearJunkie.com, launched in 2006, is regarded as a top blog and online publication for product reviews and news in the outdoors world. The site contains thousands of pages of content — gear reviews, news, travel and adventure stories, a video section, photo galleries, and giveaway contests. The site's “Daily Dose” blog is often cited as a top source for industry news and product reviews. 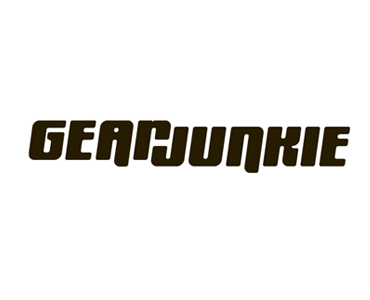 Description: This is an opportunity to brand the skin of Gear Junkie site-wide with with a creative image featuring your brand. The site skin will be clickable towards the top. Requirements: The brand must be relevant to the outdoor community and the site skin must fit the aesthetics of Gear Junkie. Please upload the image for the skin, desired link, and any information necessary for approval.